4 Carolina Spirit Quest, Inc. 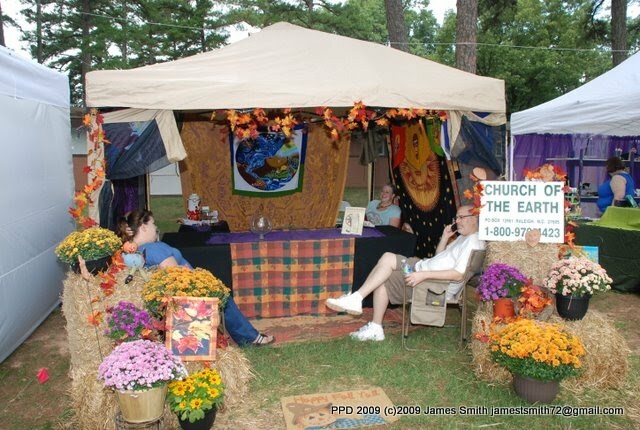 The Church of the Earth of NC is a local gathering place in Raleigh NC for followers of the Earth Religions. We follow redes and tenets created by a merging of Wicca, Celtic Druidism, Kabballah, and Native American Shamanism. We are glad to once again sponsor Pagan Pride Raleigh! Visit our booth at the festival. Learn about the Pagan Pride project and get involved in planning and executing next years festival. We are a bunch of Queer Pagans and allies committed to the spirit of joy. We use co-creative and fabulous magic to tend to the landscape of change.